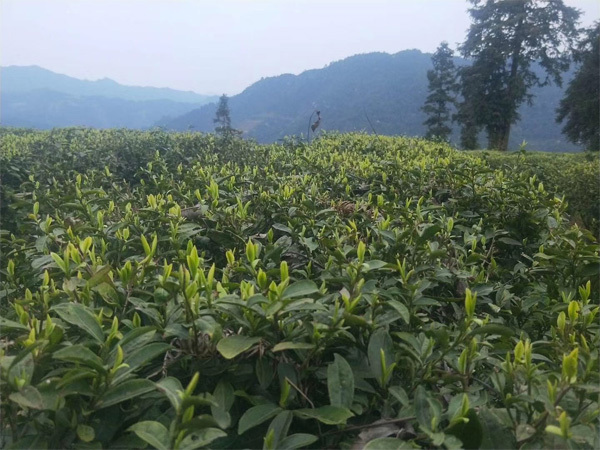 In the altitude 1200m Wuling High mountain tea garden, there are a few different tea cultivars planted here. The early germinating tea cultivar Bixiangzao has already opened to one leaf one bud. 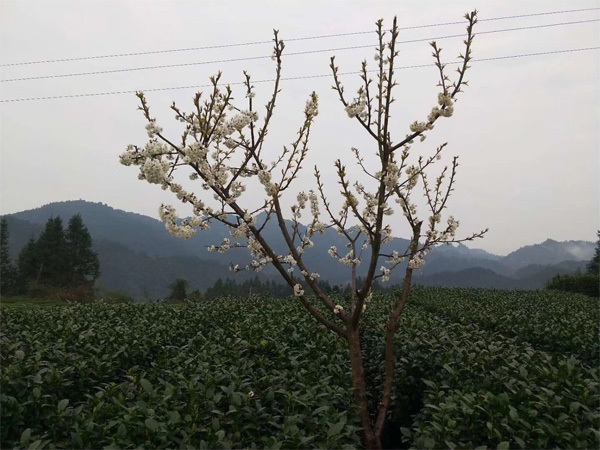 While the other traditional mixed tea cultivars are still quiet. 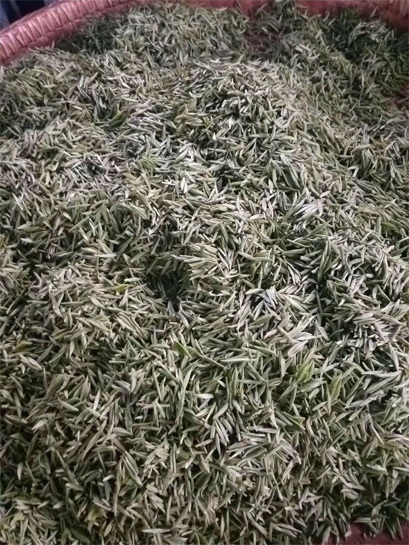 The earliest tea bud is plucked to make the single bud green tea Que She (Sparrow tongue).